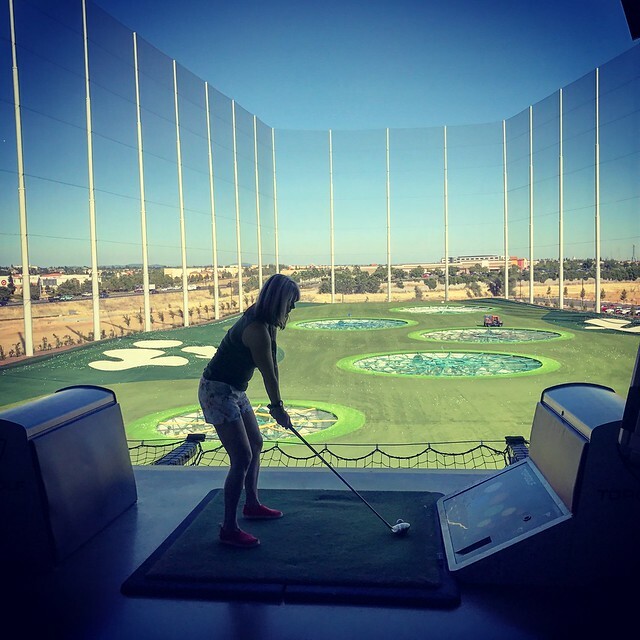 Saturday afternoon, Sharon and I met the Gainsleys and the Sanborns at Top Golf. This is the first time that any of us had been there. Jack went once in December. We played for about two hours. We started with the TopGolf game and finished with a shortened round of TopChip. The TopGolf scores are here. The TopChip scores are here. Phil finished strong to beat out Sharon for the TopGolf round, while Kevin won the TopChip contest. Everyone had a great time. We would definitely go back. After TopGolf, we stopped at a nearby extended-stay hotel where the Sanborns are living while waiting for their new house to be available. We got cleaned up and changed clothes for dinner. The six of us went to Hawks for dinner. While Sharon and Marlene had been there before a number of times, I have never been to this restaurant. I had a nice entree of short ribs, while Sharon had a burger.